In retrospect it was bound to be inevitable. Now that Rod Blagojevich has been sentenced to life + 500 in Alcatraz for selling Barack Obama's Senate seat to the Kardashians, Springfield has apparently decided to do something about it. Your LakeCountyEye has discerned that Illinois Senate seats are no longer to be sold, like so much broccoli, on the auction block of avarice. Henceforward they are to be auctioned off fair and square under the auspices of the Illinois Lottery. Details are sketchy but in what amounts to a sweeping overhaul of election law, Illinois's costly system of biennial General elections is to be eliminated in favor of a revenue generating public lottery, where election winners are to be selected the same way as are Mega-Million winners. 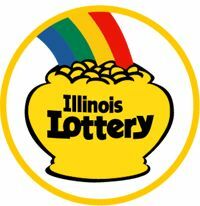 In what is being hailed as a victory for democracy-loving people worldwide, anyone with a spare dollar for a lottery ticket may be in line to become Illinois's next Governor or US Senator. "We project this will eliminate our budget deficit by 2016," one non-imaginary source informed your LakeCountyEye. "It's a win-win for everyone." The plan, to be incrementally phased in over a number of years, will begin with a trial pilot program. In the initial phase, each Springfield legislator's term length -- years served before their next re-election -- will be determined by lottery drawing. A recommissioned lottery machine, with pingpong balls numbered from 1 to 64, is slated to do duty in selecting each legislator's term length now. This phase alone is expected to generate enough revenue to pay off last year's Powerball winners. Please keep all tickets that you submit for the second-chance drawings until the promotion has concluded. If you are selected as a drawing winner, you will need to provide the ticket to the Lottery in order to claim your prize.